Revenue from October to December was down 13.62 percent year-on-year to Tw$22.2 billion ($720 million). The net loss was Tw$3.1 billion, an improvement on the year-before loss of Tw$3.4 billion, a company statement said. It marked the seventh consecutive quarter of losses for HTC, once a star of the intensely competitive smartphone sector. For the whole of 2016 HTC posted revenue of Tw$78.16 billion, down 35.77 percent from the previous year. Losses narrowed 32 percent to Tw$10.5 billion from a year earlier, mainly due to non-operating gains such as on foreign exchange. "The results were much worse than expected. Although its VR line launched in April helped revenues, the scale is too small to offset rapid sales declines of its smartphones," said Jeff Pu, an analyst at Yuanta Securities. The homegrown Taiwanese brand has been struggling in the face of stiff competition from international rivals Apple and Samsung as well as strong Chinese brands like Huawei. The company said its new smartphone models launched in the fourth quarter had been well received, as it continued to build the HTC VIVE virtual reality system—including opening the first VIVE-based arcade in Taipei. "We have learnt much from our entrance into the world of virtual reality, and we believe that... our HTC VIVE is at the forefront of that market," said chairwoman and CEO Cher Wang in a statement. 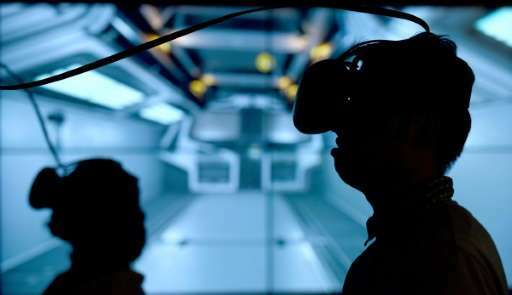 The company is one of the early players to venture into virtual reality and has spearheaded an informal alliance to develop the sector which includes Warner Brothers, Alibaba and Valve. Research firm CCS Insight predicts sales of virtual reality devices will grow from 2.2 million last year to 20 million in 2018, with smartphone-based devices representing the vast majority.